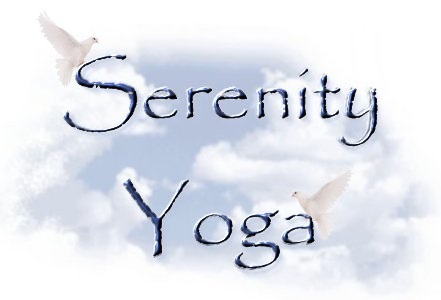 Serenity Yoga of Yuma Arizona offers: Gentle Therapeutics, Qigong, Tai Chi Chih, Vinyasa Flow and a variety of Yoga classes. There is a lot of attention on how to move safely in the exercises. These classes are perfect for people who have had or are vulnerable to lower back, shoulder, neck, or other related problems. For some it is pain management that is needed . Yoga may not heal all your pain, but it is a wonderful way to learn self management for pain and mental stress that is a result of pain. Gentle Therapeutics teaches proper body alignment with the use of props. Many poses will be performed standing or with a chair. Perfect for seniors. Gentle Yoga can provide pain relief, relax stiff muscles, and ease sore joints. Yoga teaches us that we can not prevent growing older, but the way we age is a choice, based on our thinking, decisions and actions. Gentle Yoga teaches simple basic yoga poses designed to strengthen and stretch the body at a slow gentle pace. Perfect for beginners - no experience necessary. Iyengar focuses on balance, concentration and alignment. Based on the teachings of BKS Iyengar, it is a highly developed teaching methodology including precise teaching points.. The practice of T’ai Chi Chih® integrates movement, breathing and meditation. It is intended to enhanced chi, or life force, and to unite mind and body. T'ai Chi Chih is a set of movements completely focused on the development of an intrinsic energy called Chi. It is easy to learn. T'ai Chi Chih (TCC) consists of 19 stand-alone movements and one pose. T'ai Chi Chih is not a martial art. T'ai Chi Chih is completely non-violent. T'ai Chi Chih does not require a particular level of physical fitness or coordination. The very old and very young alike can learn it. (For those with physical limitations, movements may be done seated – with some modification.) No special clothing or equipment is required. Expanding our creativity and awareness. Please note that benefits cannot be predicted or guaranteed, but will come with regular practice. A solid practice for all Yoga practitioners from beginner to advanced. Instructor will assist with suggestions, adjustments and mentoring. Yoga Tone - a fusion of fitness techniques and Yoga designed to build strength with lean muscles. Improve flexibility and create mind/body harmony. Click here for day and time. A toes to head practice to increase balance, strength, flexibility and range of motion. Enhances a traditional Yoga practice or cross training.